The NUK Bottle and Teat Brush’s profile and rigid bristles ensure thorough pre-cleaning of teats and bottles. The teat brush can be clipped directly onto the bottle brush handle so parents always know where to find it. The ventilation hole on the bottle brush handle allows air to circulate around the teat brush. 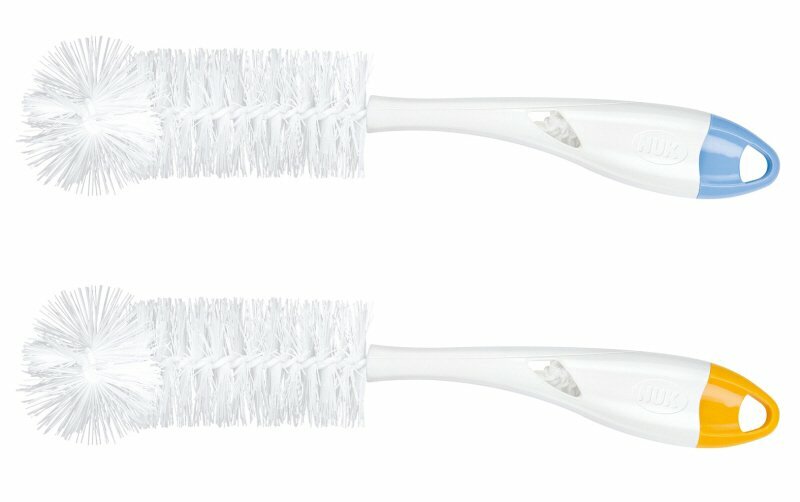 The brush handle has a hanging loop for easy storage. – Prepare and Use: Please Note Clean the teat and bottle brushes before using for the first time.